Hello December!! The month of joy and happiness that brings out the kid in everyone. Yes, it's the season of giving (and receiving) once again. 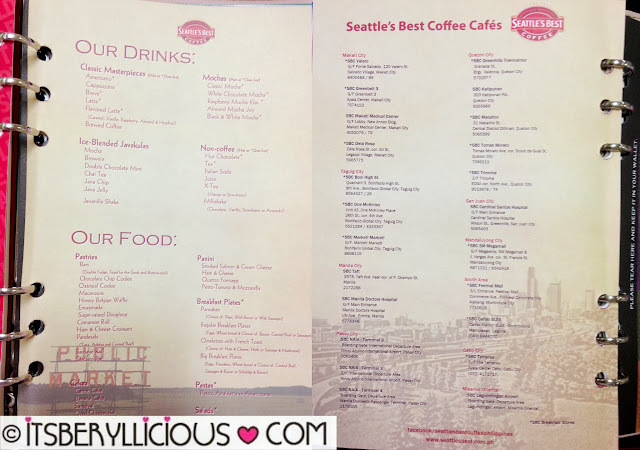 And speaking of giving, Seattle Best Coffee gives us more reason to enjoy the holidays with their Christmas Drinks line up. This year's theme exhibits a playful and fun "Christmas in a toyshop" setting. A reminder that no matter how old we are, we are all kids at heart especially during the Christmas season. 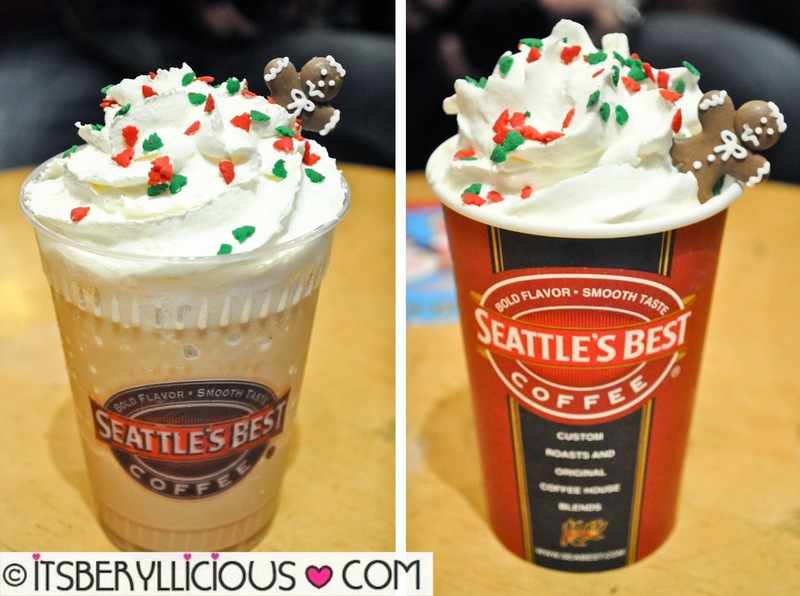 Seattle's Best Coffee presents their 4 holiday drinks available in hot or cold (Javakula). 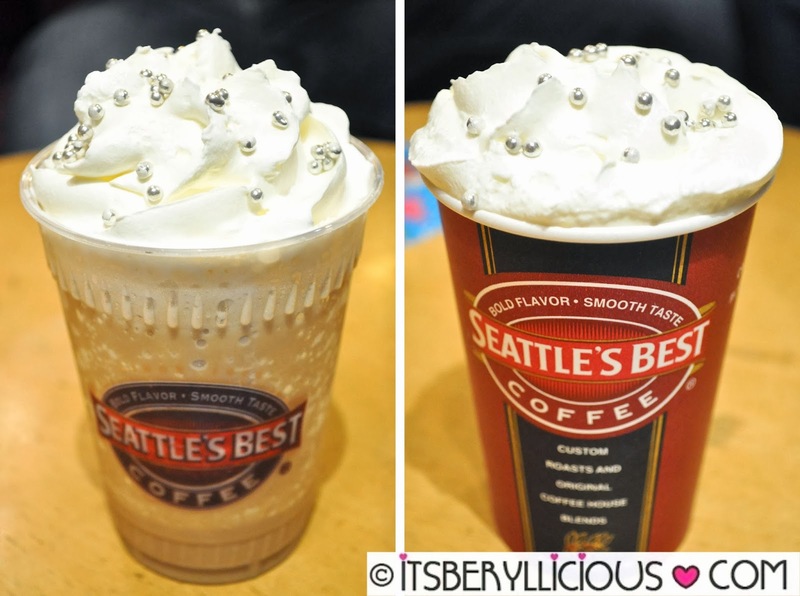 Eggnog Frost- SBC’s white chocolate mocha perfectly combined with eggnog and cinnamon vanilla flavors topped with whipped cream and sprinkled with silver candy beads. An elegant cup of white chocolate mocha with eggnog and cinnamon sprinkled with edible silver beads.I personally prefer the hot version of this popular Christmas drink that brings comfort and spice and everything nice. Gingerbest- SBC’s white chocolate mocha infused with gingerbread syrup, garnished with whipped cream, topped with Christmas tree candy sprinkles and gingerbread candy man. My personal favorite. It may not be for everyone but cookie butter lovers will certainly like it. For this drink, I prefer the Javakula version. Cookie Butter Best! Roasted Hazelnut- SBC's classic mocha harmoniously mixed with roasted hazelnut and coffee syrups topped with a cloud of whipped cream, crushed hazelnuts. 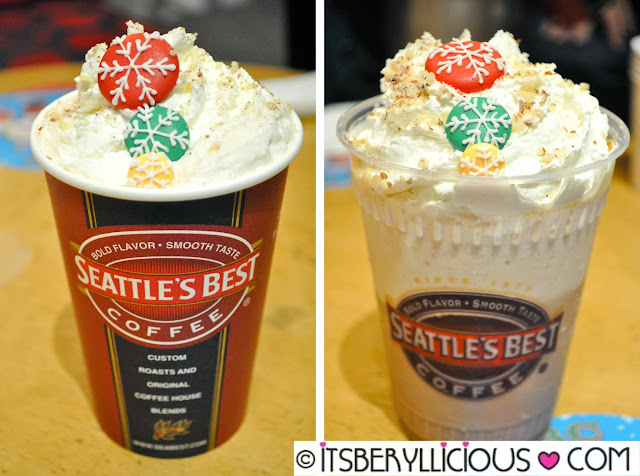 After the white chocolate mocha-based drinks, SBC's classic mocha-based beverages came next. The Roasted Hazelnut has this strong and distinct hazelnut flavor. It was a bit strong for my liking but according to statistics, this is currently one of their best-selling flavors. 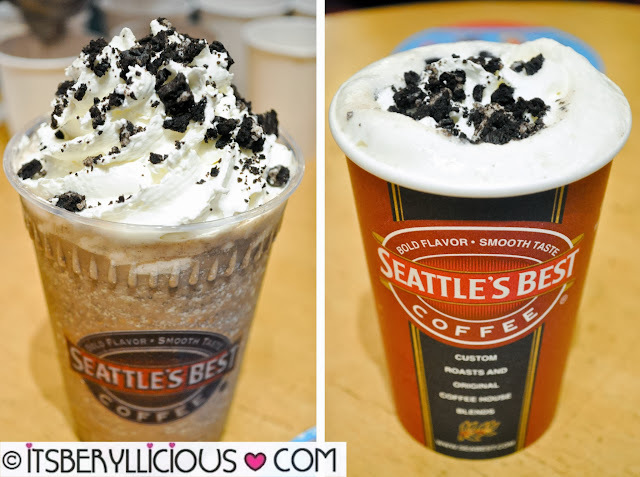 Cookies & Mint- SBC's classic mocha with a tempting mix of Oreo cookies and mint syrup covered with whipped cream and crushed Oreo cookies. An SBC all-time favorite. Of course SBC's Christmas drinks won't be complete without the all-time favorite cookies and mint. The crushed Oreo cookies gave an added texture to the drink, but the mint flavor was too mild to notice. Aside from their Christmas Drinks, Seattle's Best Coffee also surprises us with their 2014 Dream Journal. It comes in 4 available colors- purple, brown, charcoal gray, and peach. 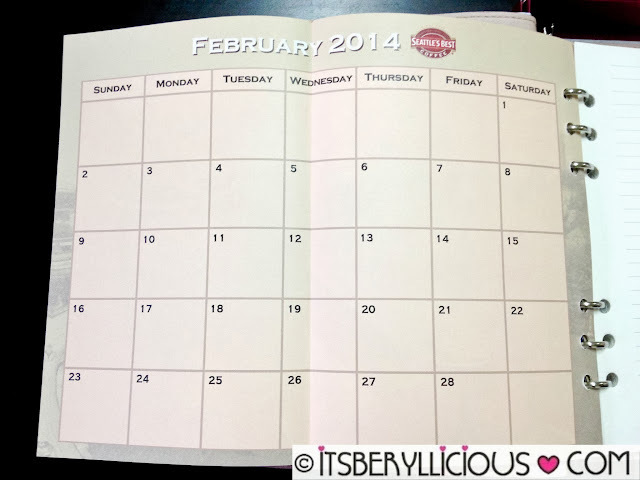 So what can you expect with this year's dream journal? Let me show you some reasons to get yourself one. 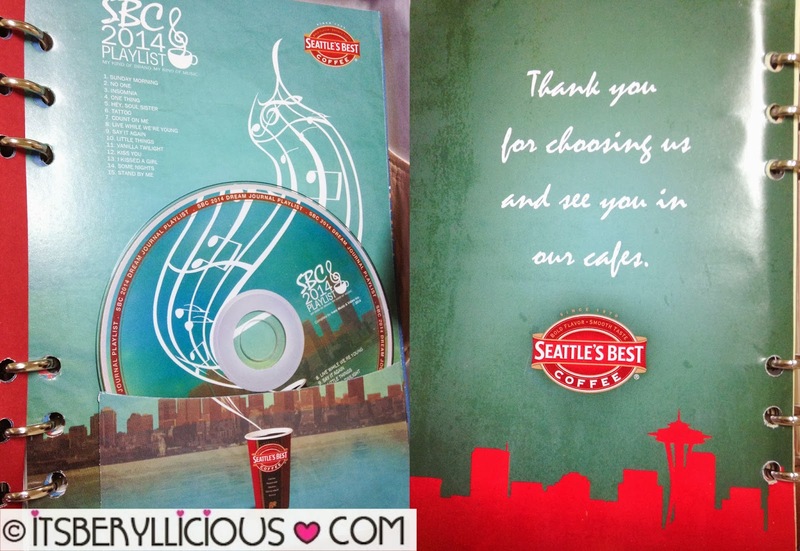 Now, how can you get the Seattle's Best 2014 Dream Journal? 1. Customers may start collecting their 18 stickers from October 24, 2013 to January 15, 2014. 2. 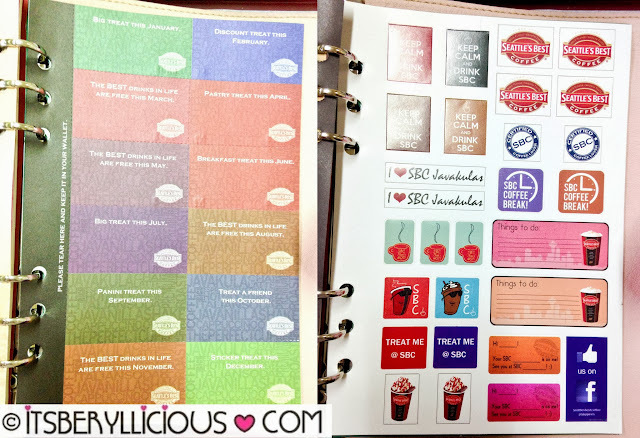 One sticker is given for each SBC beverage purchase (excluding bottled drinks and water). 3. Cardholder must accumulate 18 stickers to redeem one SBC Dream Journal. The 18 stickers must be composed of 8 holiday drink stickers and 10 regular stickers. 4. The holiday drinks are as follows: Gingerbest, Eggnog Frost, Roasted Hazelnut and Cookies & Mint. 5. Cardholder should present their SBC Dream Card to the cashier upon purchase to get the corresponding number of stickers. 6. Tampering with and/or transferring of stickers to another SBC Dream Card is not allowed. This will render all the stickers in the SBC Dream Card null and void. 7. 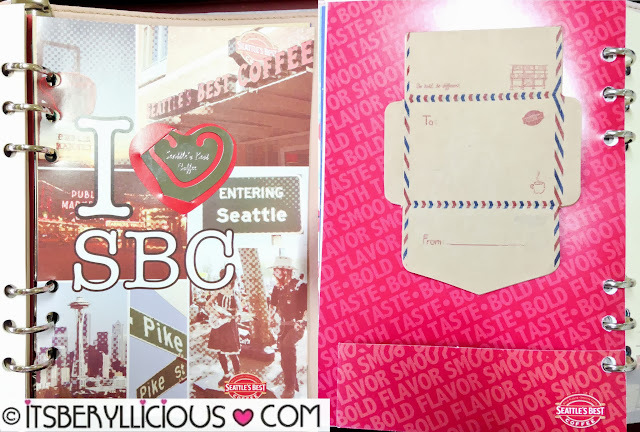 Once all stickers are completed, cardholder must submit the SBC Dream Card to redeem an SBC Dream Journal from any cafes nationwide. A combination of up to 2 cards will be allowed as long as the stickers for the 8 holiday drinks and 10 regular drinks are completed with the two cards combined. 8. Transactions with Senior Citizen and SBC VIP Card discounts are qualified for the promotion. Any other in-store promotions and discounts are disqualified to join this promotion. 9. A portion of the total sales of a completed SBC Dream Card will be donated to SBC’s partner organization, World Vision. 10. 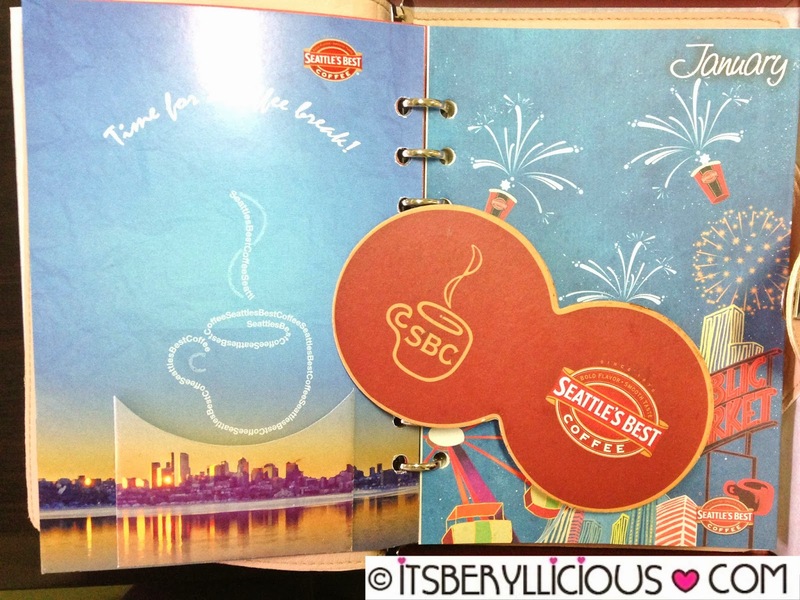 Accumulation of stickers at any SBC cafes is from October 24, 2013 to January 15, 2014 only. 11. Redemption of the SBC Dream Journal is up to March 16, 2014 only. For more information, check out Seattle's Best Coffee Philippines Facebook Fan Page. mind that how a user can be aware of it. So that's why this post is great. No matter how severe your acne condition is, you can expect to gawin some great improvements over your acne in just 1 week, if not days. on your health, you better think again. interesting article like yours. It's pretty worth ehough ffor me.